Don’t Panic! Have you heard some crazy rumor about Barack Obama and want the straight story? The Debunker’s Guide to Obama Conspiracy Theories is a compilation of many of the strange tales and unfounded rumors that fly over the Internet about Obama, and particularly alternate accounts of his birth. Each one is carefully researched with references you can use to correct misinformation and know the facts. The Obama document is a “Certification”, not a “Certificate”. A Certification of Live Birth is not a birth certificate. See also here. Sun Yat-Sen the first President of China has a Hawaiian birth certificate and he was born in China so this proves anybody can get a Hawaiian birth certificate. See also here. The Department of Hawaii Homelands declared that the short-form birth certificate was not sufficient evidence and also that such a certificate is not proof of birth in Hawaii. 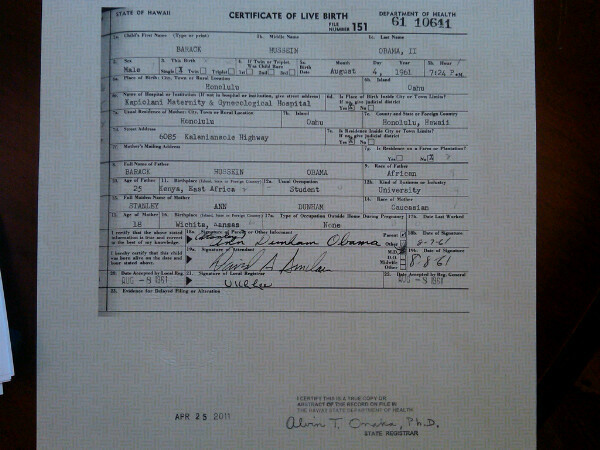 Obama’s mother didn’t live at the address listed on the birth certificate. See also. 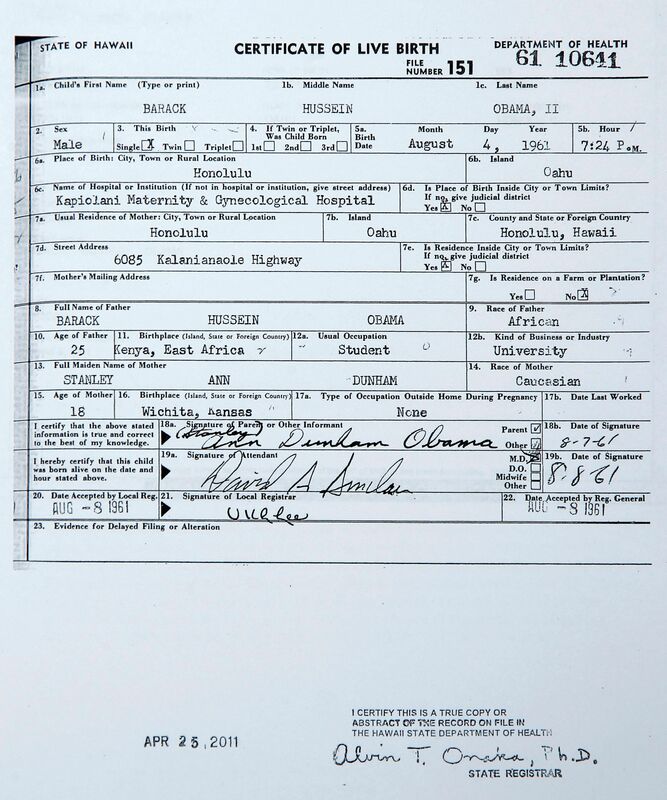 Obama’s birth registration was created by his grandparents, and not by a physician. The attending physician was David A Sinclair, MD. The Registrar’s stamp on Obama’s short form certificate is a rubber stamp (as it should be). 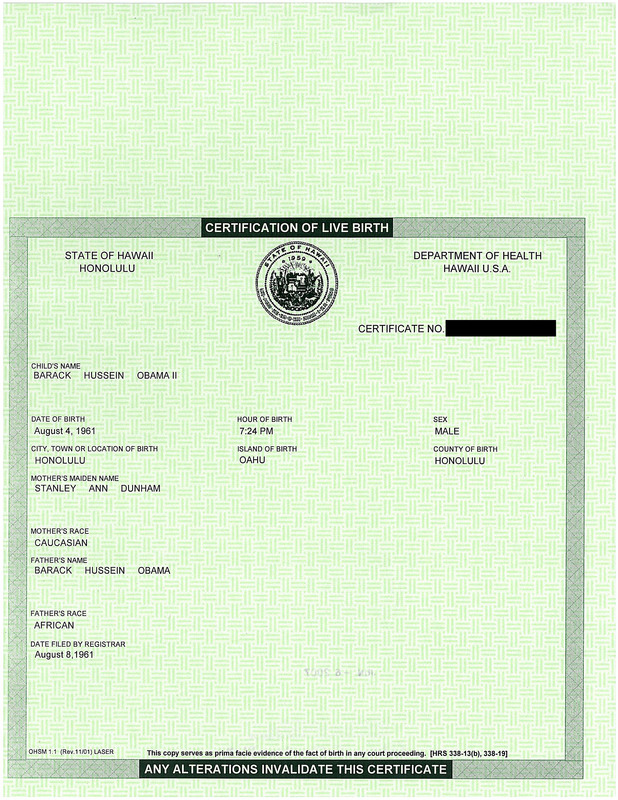 Obama’s birth certificate was invalidated when the certificate number was covered. Obama’s long form birth certificate is a fake because the PDF version has “layers.” A detailed analysis of various claims that Obama’s long form certificate is a fake is found in John Woodman’s book: Is Barack Obama’s Birth Certificate a Fraud? see also this video. A professional law-enforcement investigation of Obama’s birth certificate in Arizona proved the document a fake. The so-called anomalies on the PDF certificate are the normal processing of a Xerox WorkCentre 7655 copier/scanner opened and saved with Preview on a Mac computer. Douglas Vogt identified 20 points of forgery in the birth certificates. See also here, here, and here. A credentialed document examiner, Reed Hayes, has stated that the White House PDF birth certificate is a 100% forgery. Until the Hayes report is released, its conclusions, whatever they are, cannot be debunked or verified. 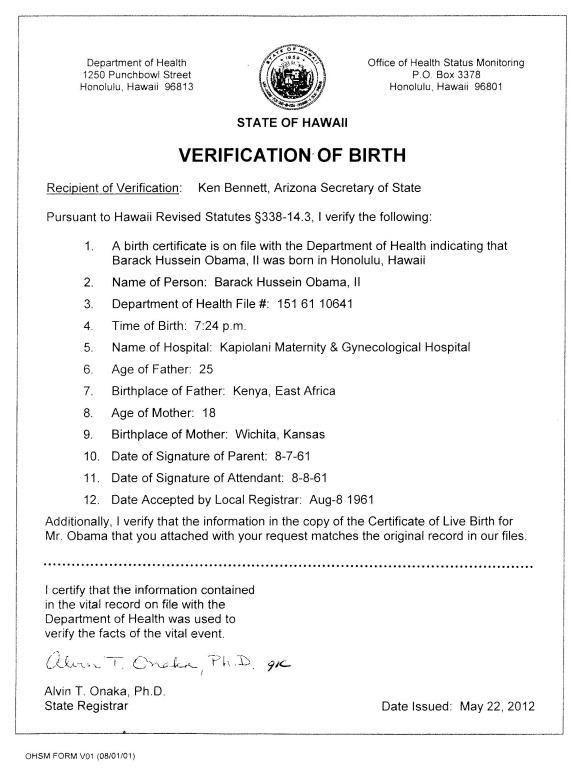 Governor Abercrombie of Hawaii couldn’t find Obama’s birth certificate. This Claim by celebrity journalist Mike Evans was retracted. Two forensic experts say parts of Obama’s birth certificate were copied from another certificate. The forensic reports were never released and it was found (here and here) that the allegedly copied items were not identical. All microfilm copies worldwide of the Honolulu Advertiser and Star Bulletin relating to Obama’s birth have been replaced by fake ones. No one remembers young Obama in Hawaii (except Governor Abercrombie of Hawaii and his kindergarten teachers and classmates). Hawaii hospitals all deny Obama was born there. All but one and see video here. The Kenyan minister of lands said Obama was born in Kenya. He did, but he never explains how he knew. See also here. Kenyan newspapers say Obama was born in Kenya. See also here and here. Authentic postal cancellations always have a 4-digit year. They do except when the date isn’t clear. Obama has spent millions in legal fees keeping his birth certificate secret. This is further nonsense since Obama freely released his birth certificate. Obama registered as a foreign student at Occidental College to get financial aid. This was actually an April Fool joke, but it is still widely believed. Follow-up story here and here. Obama went to Occidental College under a Fulbright scholarship. Silly since Fulbright scholarships are for graduate study and Obama was an undergrad at Occidental. Nobody remembers Obama at Columbia College. See also classmate Wolf and Professor Baron. Obama funneled guns to the Taliban for the CIA while a student. Too silly to debunk, but listed for reference. Obama’s Columbia University ID lists him as a “foreign student.” Politifact rated this “pants on fire.” See also here. The idea that Barack Obama is not a natural born citizen even if born in the US is not a “conspiracy theory;” it is a legal theory. The best compilation debunking this claim is the report of the Congressional Research Service: Qualifications for President and the “Natural Born” Citizenship Eligibility Requirement. For a general review, see: Natural Born Citizen for Dummies. 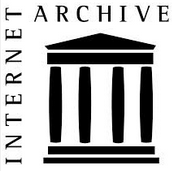 For a compendium of citations about natural born citizen, see The Great Mother of All Natural Born Citizen Quotation Pages, other articles on citizenship on this site, our Citizenship bookmarks, and Books on Google that define “natural born citizen.” See also John Woodman’s series of articles. Since 2008 at least 11 courts have ruled specifically on this question as it pertains to Barack Obama and all have affirmed that if born in Hawaii, Obama is a natural born citizen. Also see my article here and here. The Supreme Court in Minor v Happersett defined natural born citizen as requiring two citizen parents. The Law of Nations by E. Vattel defined natural born citizen as requiring two citizen parents. The US Constitution incorporates the Law of Nations by reference. The Supreme Court cited Vattel in United States v Wong Kim Ark. Supreme Court Case Perkins v. Elg proves a natural born citizen must have two US parents. No court has ruled on the merits of claims that Obama is not a natural born citizen because of his father’s British citizenship. Barack Obama traveled to Pakistan on an Indonesian passport. See also. Barack Obama was raised by communists. Google says Obama is a socialist. Barack Obama Committed Perjury on his Illinois Bar Application. Michelle Obama was disbarred. See also. Barack Obama was forced to surrender his law license or face ethics charges. CIA DNA Test Reveals Barack Obama was ADOPTED. This one is too silly to debunk but I wanted to document the incredible story. Obama sat on the board of the Annenberg Foundation that runs FactCheck.org. Barack Obama is a British citizen. Obama is the Anti-Christ. And here. And here. Barack Obama’s best-selling 1995 memoir, Dreams from My Father, was ghostwritten by Bill Ayers. Barack Obama told veterans to “stop whining” about having to pay for their own health care. Obama has issued more executive orders than any president in history (actually fewer). Obama went by the name Soetoro in high school. Obama was a time traveler to Mars when he was a teenager. Barack Obama has an IQ of 102, lowest of any president. Debunked at Snopes.com. Jesus said that Barack Obama is Satan.